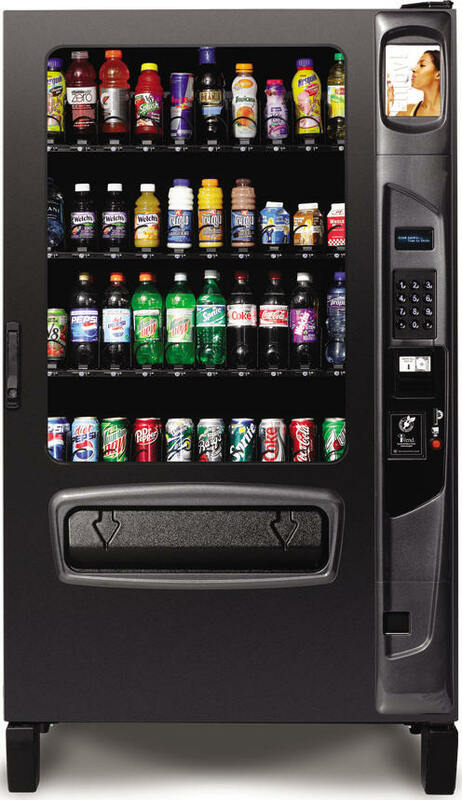 The 40 Select Beverage Center E is designed to provide the best beverage service available. A wide variety of packaged beverages & dairy products are softly served via a patented elevator delivery. Equipped with the latest in electronic controls, electronic coin changer and bill acceptor as well as our money back vend sensing technology this vendor is one of the most versatile and profitable machines available.